7. Host Jeff Probst says this is one of the craziest Tribal Councils he's ever seen! Tribal Council was all about learning where Julia's allegiances lied, but before she voted, Scot spilled that Tai had been holding onto an Idol this whole time and was going to stay safe no matter what. To everyone's surprise, Jason then admitted to possessing his own Idol, which sparked multiple jaws to hit the floor at the very same time. Moments later, the bounty hunter played his Idol and handed it over to Tai, so, now with the coveted Super Idol in hand, it would be up to Tai whether or not to put it into play. 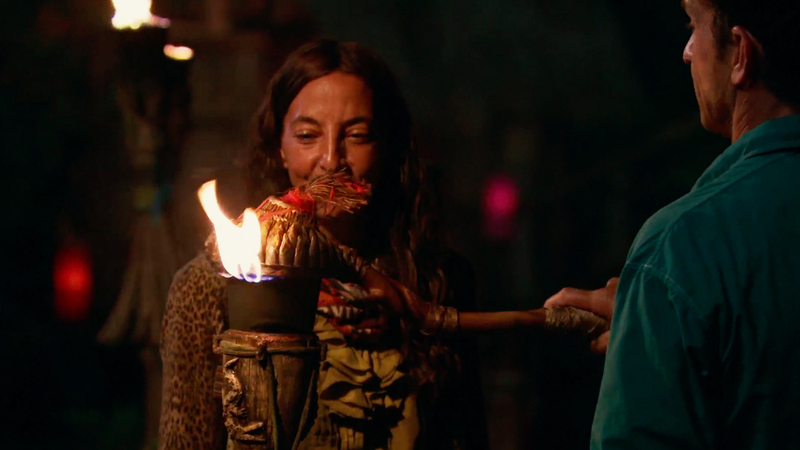 Next, the votes were tallied and with five votes against her—one being Julia's—Debbie was asked to leave the game. Jeff reminded the group, "Rarely is there a theme as strong as this season's and it's very clear, no matter how bad it seems, it doesn’t mean you’re out. No matter how safe you feel, it doesn’t mean you are." Watch this episode of Survivor now and all-new episodes on Wednesdays at 8/7c.